It's nearly impossible to open a discussion of The Salesman, the newest film from Iranian powerhouse Asghar Farhadi, without talking about its opening scenes. Rana (Taraneh Alidoosti) and Emad (Shahab Hosseini) are a happily married couple living in a large, well-furnished apartment, but there are cracks in the wall. Literally. One night, they are forced to evacuate their home with what appears to be an earthquake shakes the foundation of their home. But this is no natural disaster; what upends their lives is a man-made phenomenon, imprecise nearby construction. It's a simple mistake, but one that upends their lives. This is a fairly blunt metaphor for what is to come, but it's also a canny, fitting introduction to this story. With their home in shambles, Emad and Rana are forced to look for a new place to live, but finding a place they like within their budget in a hurry proves difficult. Thankfully, a member of their theater troupe is a landlord who recently had to evict someone from his apartment - so recently, in fact, that much of her stuff remains in the second bedroom. It's a godsend to the young couple, at least at first, but when a former client of the prostitute who used to live there comes in while Rana is alone, their life is upended. Assaulted and hospitalized, Rana is panicky, nervous, suffering all the effects of PTSD; it is Emad, however, who begins to come apart at the seams. As he does, The Salesman begins to transform from domestic drama to low-key thriller, but as with About Elly's heightened turn, Farhadi's strong character work prevent it from slipping into genre cliche. Instead, the slow ratchet of tension in the background comes almost entirely through Emad and Rana's relationship, which Farhadi makes sure is always the focus of the drama. Emad might be on a quest for vengeance, but that matters far less than what Rana's going through. Farhadi's two leads, both familiar faces to those who have watched his films before, are excellent. Alidoosti was the title character in About Elly, but her Rana follows a very different emotional arc. Rana is reasonably outgoing, a comfortable and confident woman, an actress in the local theater troupe with her husband. Her assault drives her sharply inward, and Alidoosti plays her character's emotional breakdown powerfully. Hosseini, who was in both About Elly and A Separation, has a bigger role, as his own breakdown mirrors and then almost exceeds his wife's. He has to remain recognizable as the kind educator of the film's first third while still slipping into arrogance, hostility, and hyper-masculinity as it continues. The two of them together play off each other perfectly, building to a powerful, wordless moment that gave me chills. Much like another one of my favorite films, Julia Loktev's The Loneliest Planet, The Salesman is concerned especially with the fragility of masculinity. The Salesman has been compared to Charles Bronson's 1970s cult franchise, Death Wish, another film about a man who seeks vengeance after his wife is assaulted, but Death Wish is a film that celebrates toxic masculinity, whereas The Salesman is a film that critiques it. Farhadi isn't interested in revenge, but in where the drive for revenge comes from. As in Loktev's film, a moment of crisis forces the character to call his own manhood into question, and the question eventually becomes: Can he see that this isn't about him in time to prevent irreparable damage to his relationship? But where Loktev's film was meditative, Farhadi's morphs slowly into a thriller, as Emad's desire to find out who did this and why begins to take precedence over his desire to make sure Rana is safe and healing. Farhadi's greatest skill lies in mining class and gender in modern Iranian society to find breaking points within relationships, a talent that often creates surprisingly intense domestic drama. These are the essential skills that let him reimagine something like Death Wish as a contemplation on masculinity, trust, and helplessness. It is insightful and humanistic, an exploration of familiar feelings and angsts that never betrays its characters. 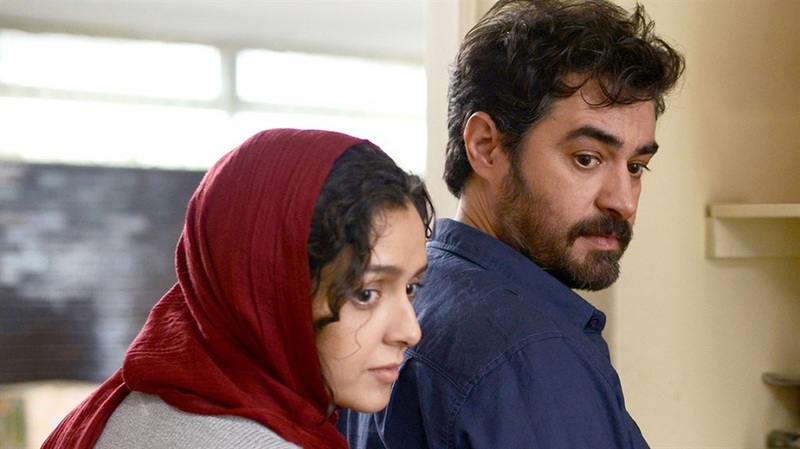 The Salesman is perhaps lesser Farhadi (About Elly and especially A Separation will be tough to top), as its climax cops out a bit in comparison to his strongest work, but lesser Farhadi is still unquestionably essential viewing. By the time The Salesman reached its instantly iconic final shot, I knew this was a film only Asghar Farhadi could make. The Salesman is out now in select theaters, and it arrives at the Atlanta Midtown Art Cinema tomorrow, February 10th. It is nominated for Best Foreign Language Film in this year's Oscars. Written and directed by Asghar Farhadi, The Salesman stars Taraneh Alidoosti and Shahab Hosseini.